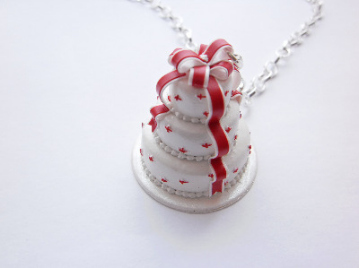 This wedding cake pendant is a great gift for anyone who appreciates creative handmade jewellery. Stunning detailed medium size white chocolate with red bow cake pendant. 18in silver plated nickel free chain. Pendant made from polymer clay.